I wouldn’t classify myself as a computer geek, but I can navigate my way around the net pretty well. And I can run a blog, right? One thing that can really jazz up your word documents is a fun font. Once you download the file, unzip it (just right click with your mouse and select “unzip”). Next, go to your “control panel” and open the fonts folder. 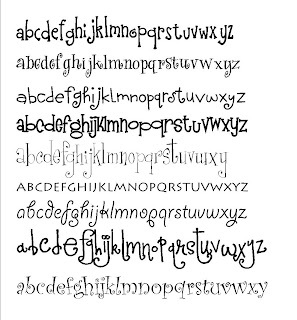 Finally, drag your freshly unzipped font file into the fonts folder and bam – you have a new font! If you are having issue with my directions, you can totally google “install a new font” and you’ll find some help!